I am not sure if it was my move to the burbs or becoming an instant Mom but I have been purchasing many items from Lands End lately. I will be the first to admit I never gave it a second glance as I blew by the racks on my way out of the mall but one day I saw a turtleneck (if you know me this is not shocking in any way...) and stopped. The Lands End Canvas line is spectacular and very well priced! So enough about the clothing, let's check out the home line. Yesterday I was scouting for affordable bedding options for my client and look what I found, yup great items from Lands End Home! 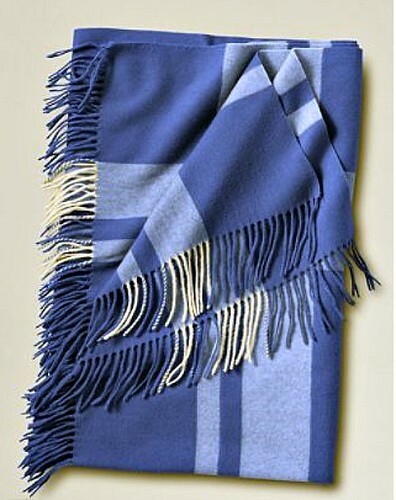 Check out this cozy cashmere throw! The Regatta Blue color would immediately chase my chill away and remind me of summer days by the ocean. 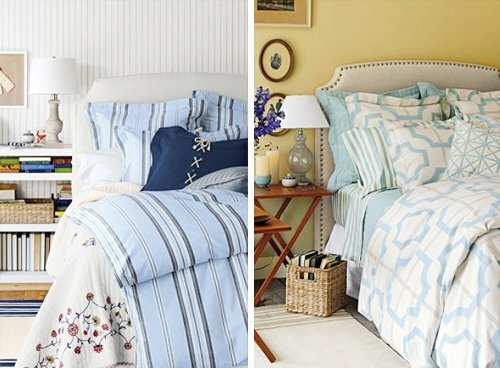 Speaking of summer daydreams how fabulous are the above duvet covers?! Even the headboard and lamps are part of the Lands End collection oh and don't forget that fantastic basket for all my bedside magazines! 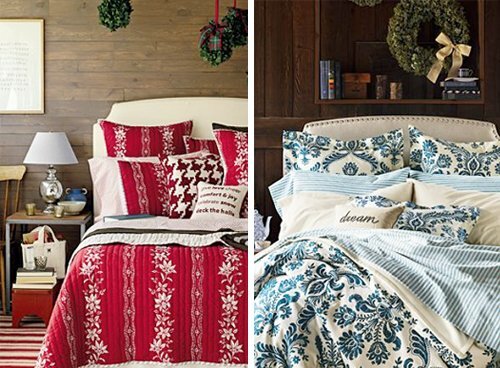 I don't want to leave you winter lovers out so take a peek at these two bedding options, both would fit perfectly into your ski lodge schemes! Do you like what you see? Well here is a little tip sign up for their emails and you will always have a discount code in hand! Now go on over and fall in love with Lands End yourself! i really like the lands end canvas line as well. they have really really cute things. I am a huge fan of the Canvas line too. When I wear it, I get tons of compliments--- Hope you have a great Xmas!